Start your Allstate Windshield Replacement Claim Online Now! Glas Tek is a n approved Allstate windshield replacement and auto glass repair mobile service shop. Allstate will stand behind Glas Tek’s work with a nationwide lifetime guarantee. That is an Allstate double guarantee; Glas Tek has their own nationwide lifetime warranty and is backed by Allstate’s guarantee. This should give Allstate insurance policy holders the confidence they need to utilize Glas Tek as their Allstate windshield replacement & auto glass repair shop choice. Filing a Allstate windshield replacement is fast and easy with Glas Tek. We want to make sure that you understand the entire auto glass claim process. We will be sure to answer all your questions and concerns before the claim process begins. we want you to be completely comfortable with the process and confident that you have chosen the right shop to perform the work. In addition, Allstate windshield replacement claims will not increase your insurance premium. Arizona state law prevents insurance companies from raising the rates for any no fault auto glass claims. Allstate has given the permission to file claims for windshield replacement and auto glass repair on their behalf to a third-party administrator (TPA). Glas Tek is an approved participant of the Allstate windshield replacement insurance program. Therefore, Allstate guarantees and backs all work carried out by the company. Additionally, Glas Tek ensures you will never have to pay extra out-of-pocket costs by honoring Allstate’s contract pricing. All policyholders are now required by Allstate to be on line to file a windshield replacement or auto glass repair claim. Glas Tek can directly connect you to Allstate representative to assist with filing your claim. To help with the processing of your claim, you will be asked a series of questions by the Allstate representative. Upon filing the claim, coverage will be verified by Allstate and Glas Tek can be authorized to carry out the installation. The claims representative from the TPA will ask the list of questions below as a part of the Allstate windshield replacement claim process. It typically takes 15 minutes to answer the questions via a conference call. After being connected to Allstate, you will be informed that the call will be recorded or monitored for quality services. Don’t let this make you nervous, the claim questions are easy and Glas Tek will guide you through the entire process. Allstate will waive your deductible for windshield chip repairs on comprehensive insurance policies. So, if you carry a $500 deductible on your Allstate policy and you have a small chip in your windshield (smaller than a credit card) then Allstate will waive your deductible and pay your windshield repair in full at no cost to you. In addition, filing an Allstate windshield repair claim will not increase your premiums due to Arizona state law. Keep in mind, that windshield chip repairs DO NOT make the spot disappear on your windshield. It is not a cosmetic fix. Your break may clear up to 80% but many factors depend on the success of the repair including: size, location, type of break, and how long the break has been on the windshield. A successful windshield repair will keep the break from spreading from the point of impact but not make it disappear. Therefore, two windshield repairs cannot be compared cosmetically to determine the success. However, windshield repairs are a great option to keep the structural integrity of the factory install or if you carry a large deductible. Furthermore, If you are unhappy with your windshield chip repair and you carry the auto glass endorsement on your policy Allstate will approve a new windshield replacement. Visit our windshield repair FAQ’s page or our windshield chip repair process page for more information on Allstate windshield repairs. Or, start your windshield replacement claim online now! 1. Have you already been provided with a claim number? Is it the first time you are making a report about this windshield or auto glass claim? (The answer is usually NO because getting in touch with your agent is not considered filing a claim. 2. Was any work done on the vehicle? (Has Glas Tek started the auto glass installation or windshield replacement?) The answer is typically NO. 3. May I have the correct spelling of your first and last name? 4. Can you provide your telephone number including the area code? 5. Do you have another number where you can be reached if we are unable to get you on this one? 6. Besides these two numbers, do you have any more phone numbers that we could add? 7. To which email address can we send information about your claim? 8. Could you please provide your Allstate policy number? (This number usually has 9 digits and starts with a 9. 9. When did your windshield get damaged or when did you first discover the damage? (To process the claim, you need to supply them with the month, day and year of the damage. Make an estimate if you do not know the exact date but ensure you were covered on that date. 10. What zip code is used on your policy? (Provide the one that is used when you receive your bills). 12. Was any other glass damaged besides the windshield? (Was any item stolen? Was there any body damage? ) Your comprehensive deductible might have to be paid first if other damage was done to your vehicle. 13. Please can you verify the address used on your policy? 14. What are the make, model and year of your car? (Example: 2010 Ford Explorer). 15. Is the windshield damage bigger or smaller than the size of dollar? (If the damage is smaller, you will not get the windshield replaced. Instead, Allstate will authorize a chip repair. 16. 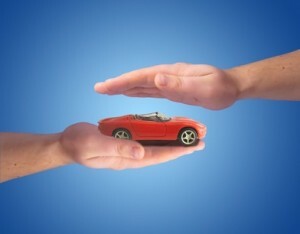 Allstate will confirm your coverage and verify whether there is a deductible amount. 17. Allstate insurance will verify the name of the shop you would like to get the work done. 18. Allstate will inform you that Allstate stands behind Glas Tek as a preferred shop. Glas Tek will provide a written warranty. 19. Allstate will provide Glas Tek with an authorization and referral number for billing purposes only. 20. You will then be asked if you have any questions. 21. Before the call ends, you will be informed that your business is appreciated by Allstate and that with Allstate, you are in good hands. 22. Your convenient mobile or in-shop appointment will then be scheduled by a Glas Tek representative. Some insurance companies come across as being more like an enemy than an ally. If that is your current experience, Allstate might be a right fit for you. With Allstate, you get exceptional customer service and good drivers are rewarded with discounts. You are truly in good hands with Allstate. The Safe Discount Bonus given to good drivers allows you to get as much as 5 percent of your premium for every 6 months you drive without being involved in an accident. In addition, the day you sign up, you will receive $100 off your collision deductible. You will also get $100, up to $500, for every year you are not involved in an accident. It literally pays to drive safely. In addition, Allstate has an Accident Forgiveness Program. This prevents your premium from going up following an accident, even if you caused the accident. Allstate understands that even the best drivers can have a collision. Therefore, you are not automatically punished when accidents occur. A New Car Replacement option is another great feature of Allstate Auto Insurance. Your new car being totaled does not have to be a complete disaster. If you become involved in an accident in the vehicle’s first three model years, you may just get a check to buy a brand new vehicle, not just one that represents its depreciated value. You are deserving of a company that provides the best possible insurance protection and endeavors to save you money.